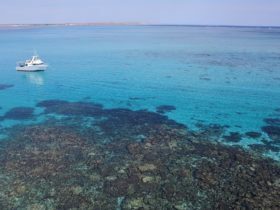 Ningaloo Coral Bay Boats offers an unforgettable Coral Bay experience! 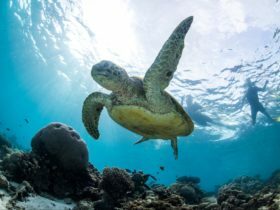 They offer a range of Eco-Certified Tours and Cruises on their glass bottom boat and 40-foot vessel, showcasing the best of the Ningaloo Reef and its array of spectacular marine life. Over 450 species of fish and 180 species of coral in the tropical waters of the World heritage-listed Ningaloo Reef, only metres from the pristine white sand beaches of Coral Bay. They look forward to welcoming you aboard! 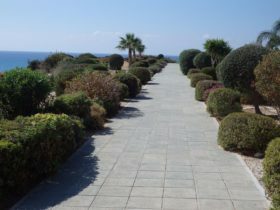 Step aboard from the shore and enjoy a one hour Cruise aboard Miss Coral Bay III. Relax while you cruise over the pristine waters of the magnificent Ningaloo Reef and enjoy uninterrupted views of coral gardens and a multitude of fish through their underwater windows. The huge glass panels maximise your coral viewing experience and are specially treated for perfect photos and videos. 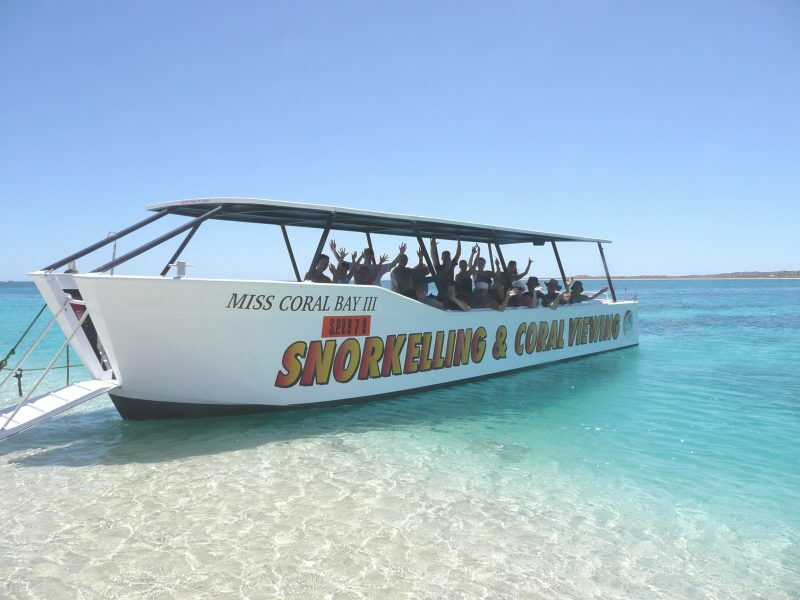 The Coral Viewing and Snorkel Cruise is a two hour cruise aboard their glass bottom boat, Miss Coral Bay III. Snorkel amongst the delicate coral gardens and beautiful bommies of the outer reef, then a short trip to the fish feeding and second snorkelling site. Snorkel sites include the outer reef where you will see an abundance of exotic and brilliantly coloured reef fish, a variety of rays and maybe even discover potato cod, turtles, giant clams, eels and more. 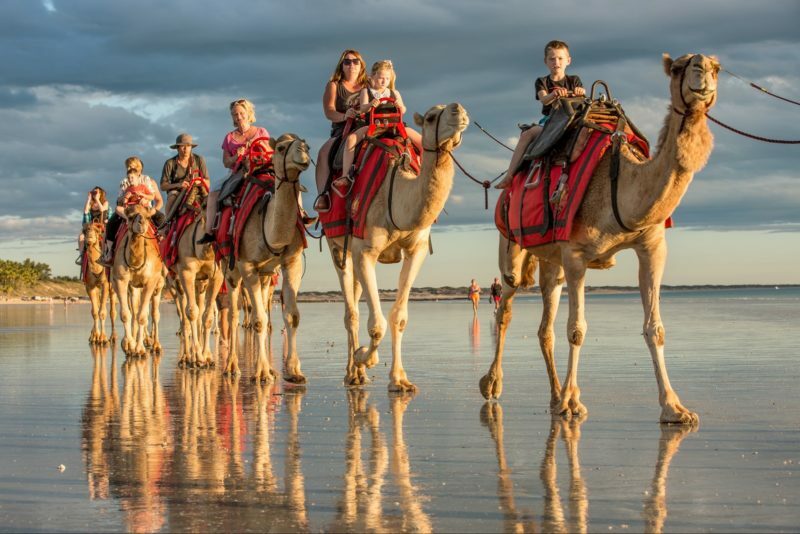 Join their friendly crew aboard the Ningaloo for this fabulous experience. This fun-filled day will take you to their favourite spots to experience the wonders of this amazing fringing reef. Using a spotter plane they search for Manta Rays, giving you the opportunity to take in the wonders of these magnificent creatures. 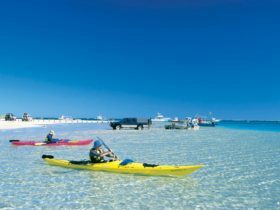 During the trip you’ll stop to snorkel at some of their favourite sites giving you the opportunity to swim amongst beautiful coral gardens and colourful fish of the Ningaloo Reef. Be on the lookout for Turtles, Dugongs, Dolphins, Reef Sharks and Migrating Whales (June to October) and other marine life. 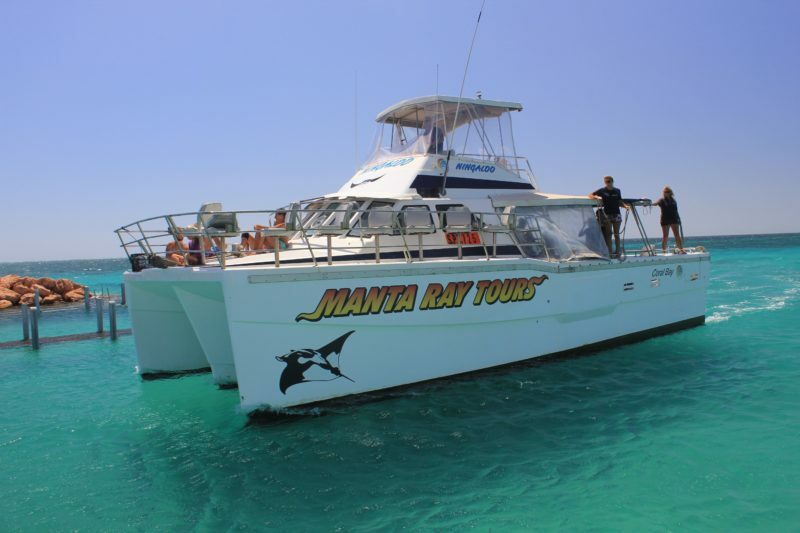 On the Manta Ray half day tour you will experience what the Ningaloo Reef has to offer. Snorkel with the graceful Manta rays, cruise the pristine waters in search of Dolphins, Turtles, Reef sharks, Dugongs and other marine life. Snorkel at one of their favourite outer reef sites and swim amongst beautiful coral gardens and abundance of colourful fish. 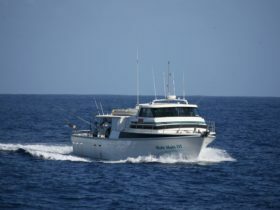 Come aboard the Ningaloo and see Humpback whales migrating to warmer waters. Be on the lookout for abundant dolphin and turtle populations in the stunning turquoise waters of Coral Bay. 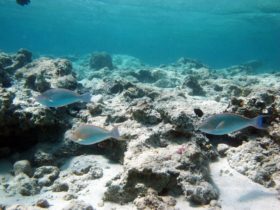 They’ll go snorkelling at some of their special sites to see the beauty of the Ningaloo Reef, including an abundance of tropical fish amongst beautiful coral gardens.